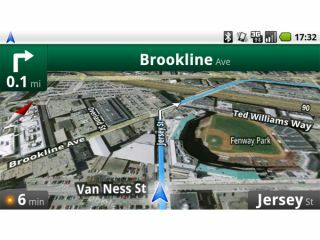 Google has told TechRadar that it is considering Maps Navigation, one of the standout features for the Android 2.0 update, for Europe in the future. The new upgrade will hit the market today with the Motorola Droid in the US, and will be released in Europe as the Milestone later this year. Google's free sat nav service was one of the most exciting features of the phone, but it won't be coming to these climes with the Milestone. "We launch a lot of products and features in the US to start, but we don't go into details on why for individual products," a spokesperson for Google told TechRadar. "We know that users in other countries would find Google Maps Navigation (Beta) valuable, but we don't have a roadmap on international roll out right now." One possible theory is that in the US Google has created its own mapping data of the regions, while over in Europe it licenses that data from Tele Atlas, owned by TomTom. Given this feature could destroy that company's share of the market, we're sure it would do all it can to block Google Maps Navigation.